An exciting week was coming to a close. The Europe edition of this year’s TBEX (Travel Bloggers Exchange) in Killarney, Ireland had been quite a week. An opportunity to meet many other bloggers with whom we share a love of travel and telling our stories. 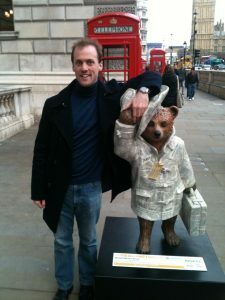 From first class seminars focusing on blogging and travel writing to a selection of talks on different subjects along with great social events in the evenings, I and many others would come back from Ireland with buzzing with ideas. But beyond the conference, no way was I going to leave the Emerald Isle without a chance to do some proper sightseeing. One of the great perks of any TBEX conference, regardless of location, are the “Pre-BEX” and “Post-BEX” tours before and after the conference that are specially organised in association with the host cities. So, after looking at what was on offer, before attending I decided to sign up for a tour of Cork. A day trip that would offer a taste of the place – in more ways than one! Cork I know is Ireland’s second city. And most “second cities” around the world posses a dogged determination not to be overshadowed by their bigger capital. Cork has a bit of a foodie reputation too. Now, foodie is not a word I use to describe myself. Foodie is perhaps one of those words that appear to have been overused lately. 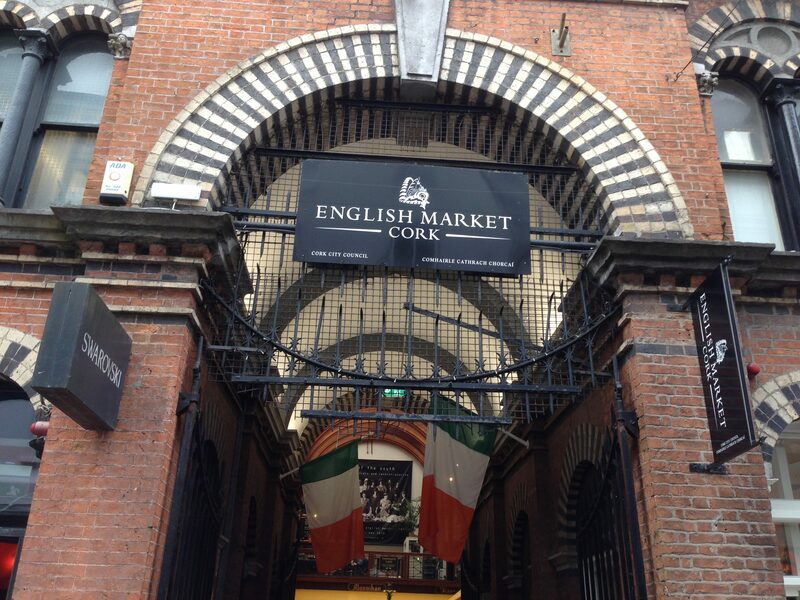 But visiting our first stop, the English Market, would be an exhibit in Cork’s culinary significance. Entrance to the English Market of Cork, a grand bazaar of locally sourced food! With its coastal location surrounded by miles of farmland, Cork makes for an ideal location for production and trade of locally sourced fish, meats, fruits, vegetables, butter and dairy products. The English Market dates back to the late 18th Century, so-called to differentiate from the Irish owned St. Peter’s Market. Visually, it took on its current appearance with Victorian curved arches circa 1862. Given a free half hour to look around, it was tempting to take in a few samples. Further on, walking through a few alleys of street art on to the Church of St. Anne. Location for one of the best panoramic rooftop views of the city but also its bells. No way was I ever going to miss the opportunity to ring some church bells. 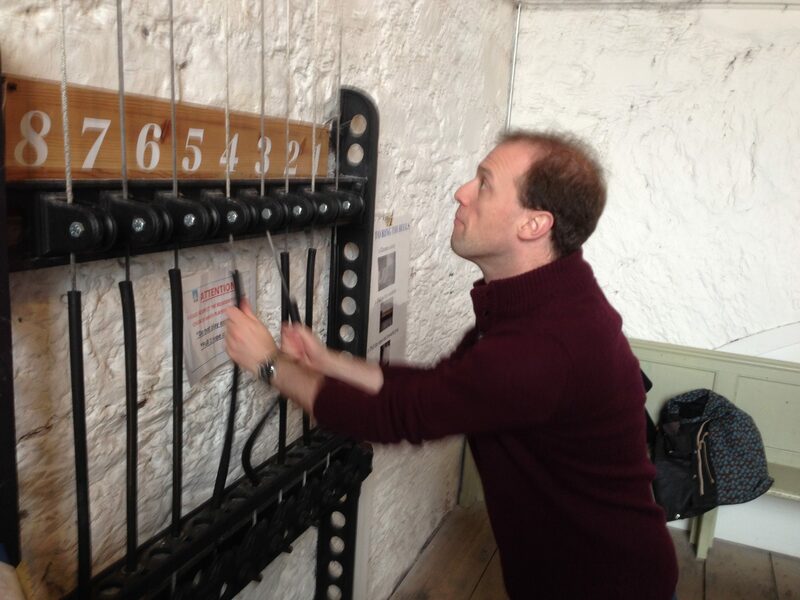 Whether or not the entire city heard my take on “Ode to Joy” (following instructions from a book indicating which bells to ring) would be interesting! That certainly woke me up and revivied my adrenaline for the day! Having seen the main city, time to head to one of Ireland’s most cherished stately homes. Fota House and Gardens are located on Fota Island. Former home of the Smith-Barry dynasty, it had been somewhat abandoned. Soon it was closed off to the public and refurbished now in the hands of the Irish Heritage Trust. This, along with the rest of the island which is also home to a prestigious golf course and wildlife park and zoo that makes for a perfect family day out. 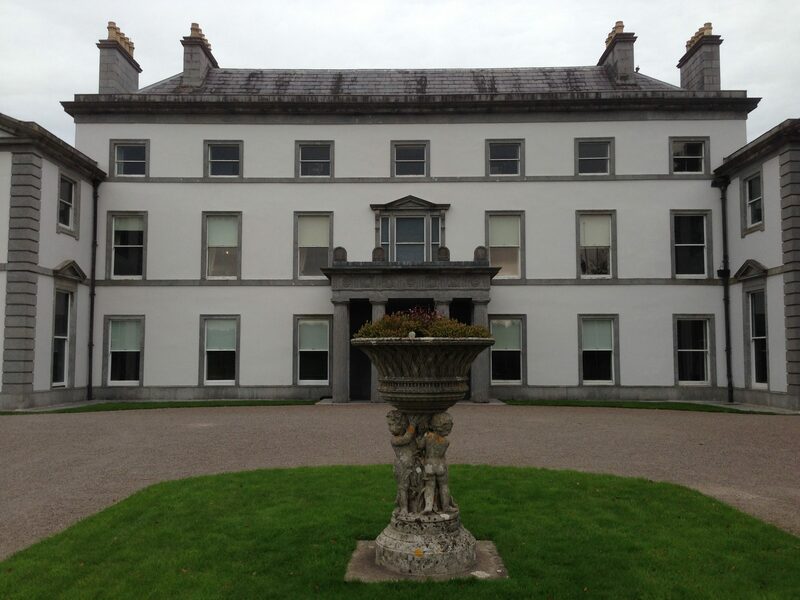 A tiny speck of drizzle greeted our arrival through the gates to Fota House. Perhaps serving as an ideal metaphor for its resurrection. Inside the comfort of the restored house, the echoes of our footsteps amplified. Even if the place is not inhabited at present, its rooms are certainly restored to almost full glory. There was an a room with stuffed animals on the wall though I did not choose to take pictures there. Sorry, there is something about taxidermy that freaks me out! A real honour for us was to look round the immaculately maintained Frameyard Gardens. A team of dedicated volunteers help out and a nutritious organic lunch was available for us all. 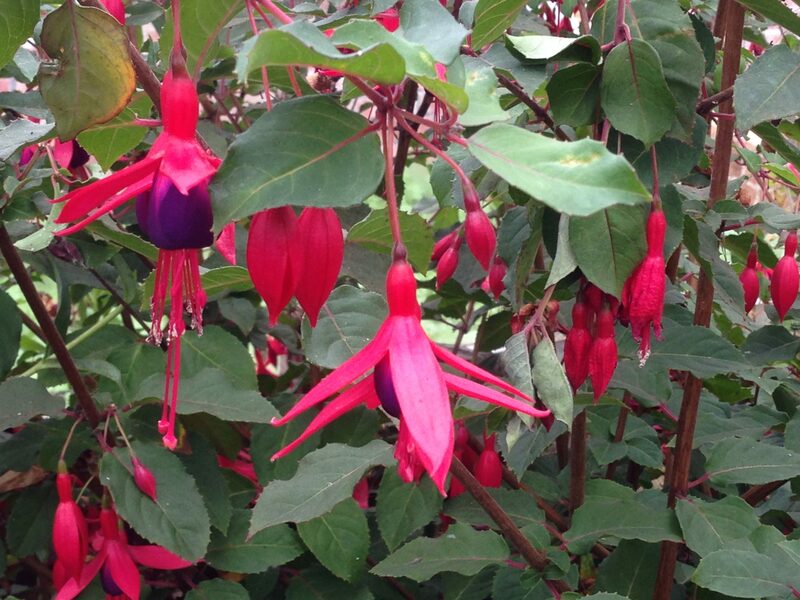 I was not alone in being full of admiration for the beautiful display of fuchsia plants and the freshly grown tomato plants in the greenhouses that one of the Fota House gardeners showed us. 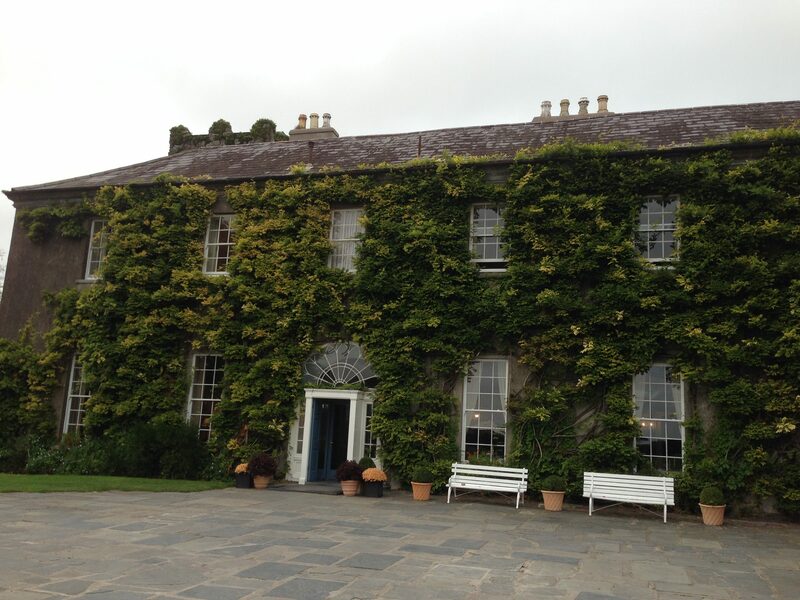 The last stop of our culinary journey was the Ballymaloe House and Cookery School. More than an old country house but a national treasure dating back to the 15th Century with different owners down the years. Bought by local farmer Ivan Allen and his wife Myrtle in 1947, the estate became an instant success in growing fresh produce to trade at farmer’s markets nearby. In 1964, seeing the potential the old dining room was converted into a public restaurant and soon the spare rooms became a hotel. And not only that but also a chance to open a cookery school to the public. The rest is indeed history. Greeted by the striking antlers on the wall of the entrance, it was an honour to get an introduction from the wonderfully dedicated Daphne Spillane. Long serving head of the team here, always going the extra mile for visitors. 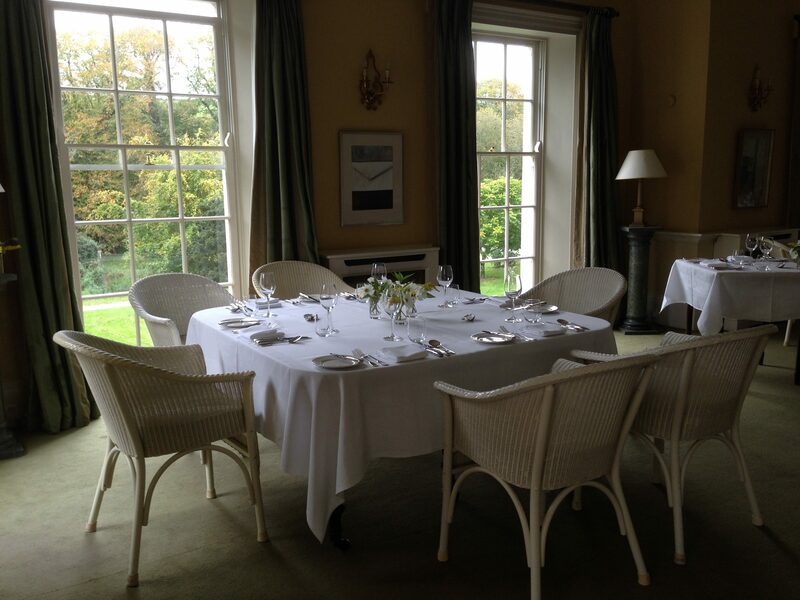 The immaculately laid out tables shows how seriously they take the dining experience. Of great curiosity is the history of the house dating back long before the Allen dynasty invested. One of the more noteworthy characters whose painting stands in the social room is of Chuff the Dwarf. Legend has it, he was the illegitimate son of the owners in the early 18th Century and had a reputation for playing practical jokes. But also being on the receiving end of many too, sometimes to the chagrin of his colleagues. A stroll through the house’s walled gardens offer a chance to sample some of the fabled Ballymaloe relish. That, and freely tasting some of the freshest grapes that produced Ballymaloe’s own wine. But as a great day trip comes to an end, so has one of the most exciting weeks of the year. My first ever TBEX was going to be a learning curve for sure, meeting hundreds of people who, like me, are all united by our collective wanderlust. 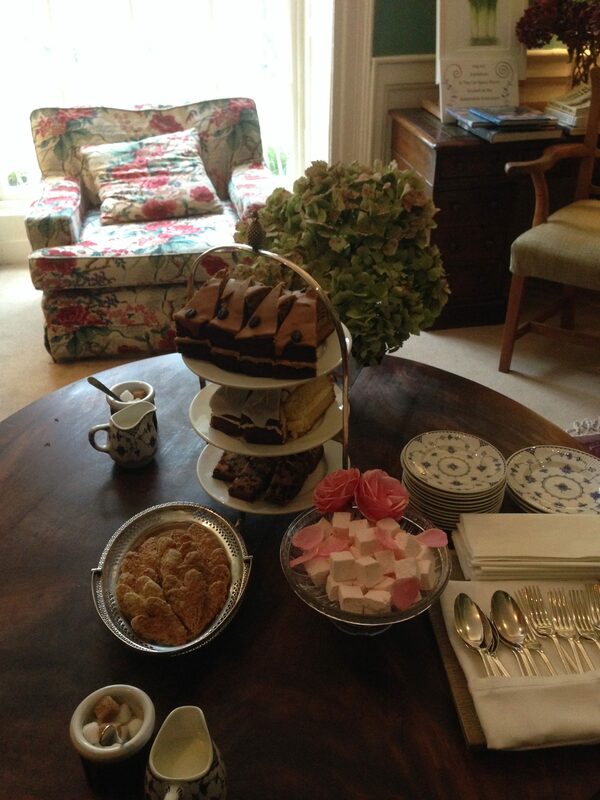 However, we were not going to leave Ballymaloe without an special afternoon tea. All specially prepared for us and a perfect way to end this hugely inspirational week. Boarding the coach it was time to conclude our week in Ireland. Honoured to meet so many others that share the same enthusiasm. Newbies or old-timers, it didn’t matter. What mattered was our mutual love of travel and writing about our travels. And that is what connected so many attendees. As it is time for me to check in to my hostel for the night, you bet I am tired and exhausted. But you know, tired and exhausted in the nicest and best way possible. 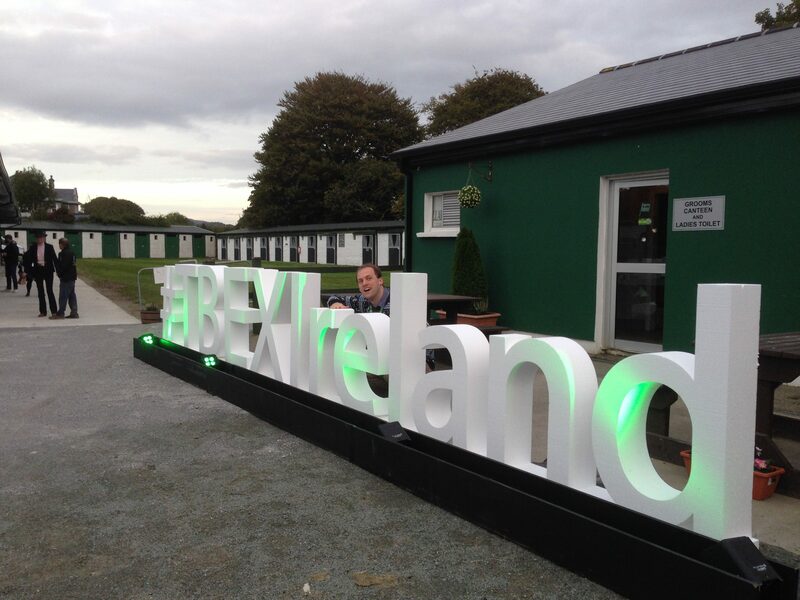 I would like to thank the organisers of TBEX and the team at Failte Ireland, whose dedication and organisation made this wonderful experience all possible and looked after everyone superbly. Want to take the same journey too? Follow the route on the map.